began to study under Laine Leichter. Päijät-Häme Conservatoire in Lahti, Finland under Jouko Paavola. 2000-2007 Marius studied in Sibelius Academy in Helsinki under the guidance of professor Martti Rousi. Marius Järvi has successfully participated in several contests. In 1989 he won the 3th prize at the International Competition for Young Cellists in Usti nad Orlic, Czechoslovakia. In 1995 he got the 1st prize at the National Competition for Young Estonian Stringed Instrument Players. In November 2002 Marius Järvi won the Estonian Young Performers Competition Con Brio, besides that he received the special prizes by the ERSO (Estonian National Symphony Orchestra) and the Estonian Television. Marius has played at the masterclasses by F. Helmerson, M. Tchaikowskaya, G. Hoffmann, A. Noras, D. Geringas, M. Ylönen, J.-E. Gustafsson, H. Kiiski, R. Cohen and many others. Marius has performed both as a soloist and a chamber musician in numerous European countries (e.g. Finland, Estonia, Spain, Portugal, Belgium, Czech Republic, Germany). As a soloist he have performed with Estonian National Symphony Orchestra, Tallinn Chamber Orchestra, Turku Philharmonic Orchestra, Järvi Festival Orchestra, Pärnu City Orchestra etc. conducted by Neeme Järvi, Paavo Järvi, Risto Joost, Paul Mägi, Tibor Boganyi, Atso Almila, Anu Tali and Kaisa Roose. We can hear him play on several records: Urkutaikuri (2001); Rene Eespere Cello Concerto "Concertatus Celatus"(2003), devoted to Marius Järvi edc. organist Kalevi Kiviniemi) was published. 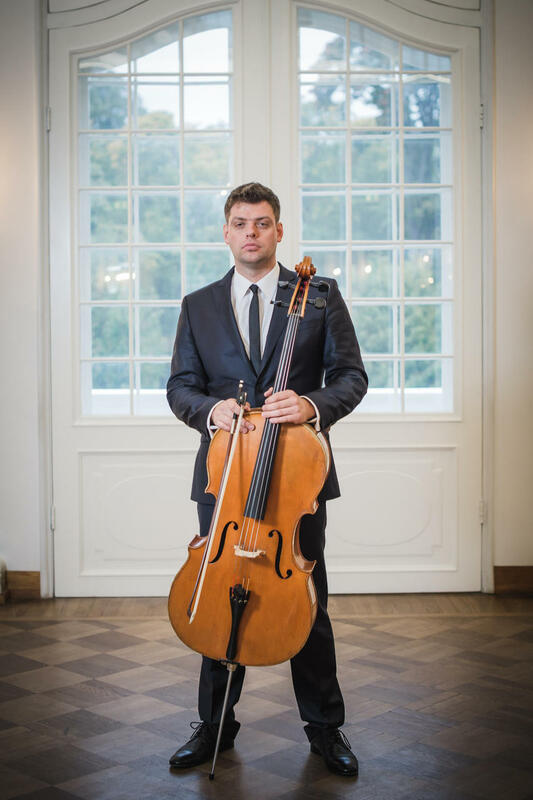 From 2005-2013 Marius worked as a cellist in Estonian National Symphony Orchestra and is also a member of Hulencourt Soloists Chamber Orchestra and Pärnu Festival Orchestra. From 2014 he works as cellist in Estonian National Opera. Marius is also cello teacher in Old Town Music School in Tallinn. As chamber musician he is a member of Järvi Instrumentalists and Estonian Cello Ensemble.